"Our fascinating brief was to take the predecessor model – which has been a dominating force in all disciplines for 10 years – and significantly improve on its performance. This we translated into straightforward targets: one second faster on the track, more than 10 kg lighter and easier to control. These targets were taken as the basis for every decision. 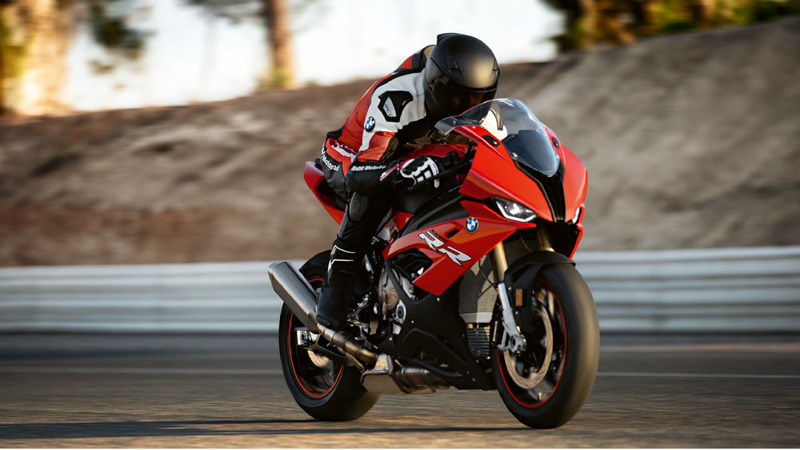 The result is a fascinating new motorcycle that exceeds the targets we set ourselves and will once again set the benchmark." Claudio De Martino, Vehicle Technology Team Leader. Dynamic Damping Control (DDC) requires no compromises in terms of suspension set-up. This is made by possible among other things by new valve and control technology. 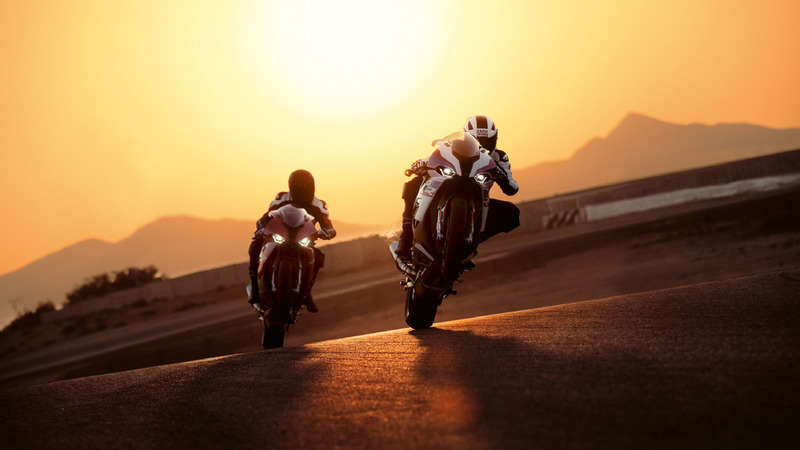 What is more, a shim package is available for selective adaptation when required for ambitious race track riding. 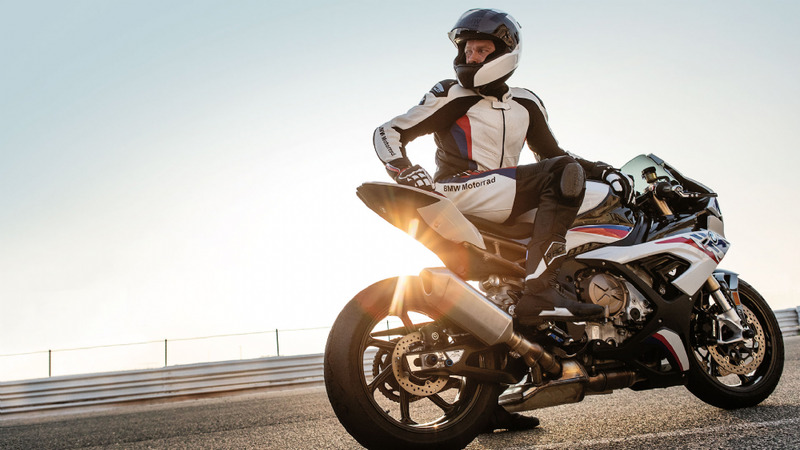 Four riding modes as standard and three more as part of the "Pro Modes" option for optimum adaptation. For ideal adaptation to varied conditions of use, the new RR is fitted with the four modes "Rain", "Road", "Dynamic" and "Race" as standard. 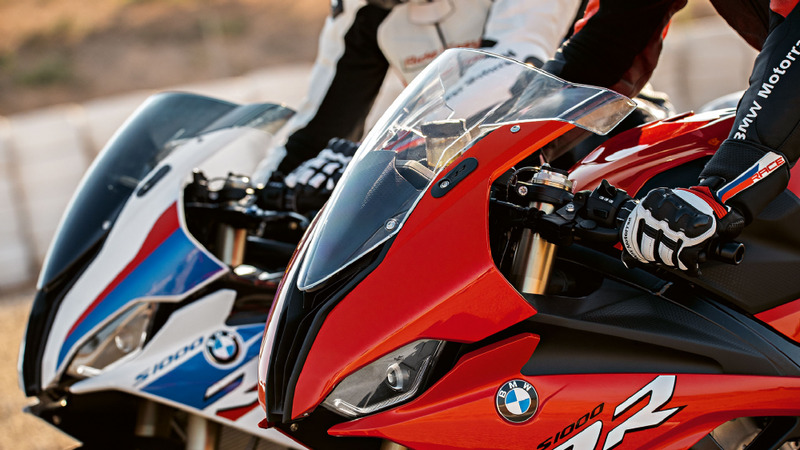 For those who wish to delve deeper into the world of race tracks and motor racing, the "Pro Modes" option offers an additional three riding modes (Race Pro 1-3) that are freely programmable. 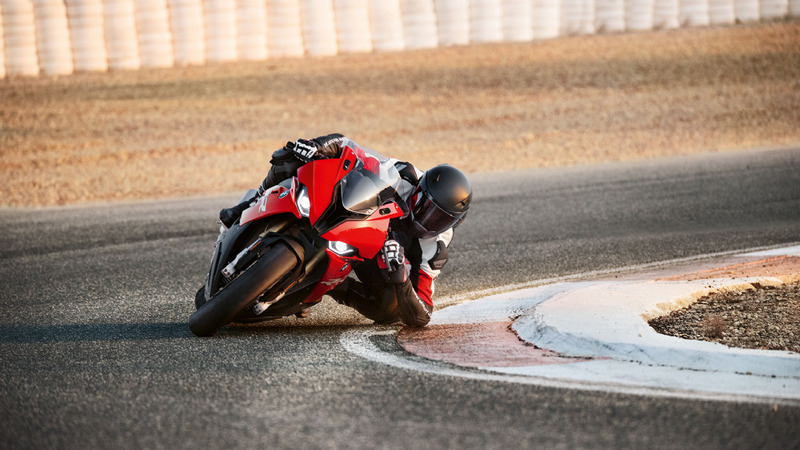 These enable individual adaptation of the most diverse control functions such as Dynamic Traction Control DTC, ABS and wheelie detection as well as the throttle curve (torque adjustment) and Engine Brake to suit the rider's own skill level and riding style. Other features that come with the "Pro Modes" option are Launch Control for perfect race starts and the configurable Pit Lane Limiter for exact adherence to speeds in the pit lane. Ultra-fast shifting up and down without the clutch is enabled by HP Shift Assistant Pro, which comes as a standard feature. 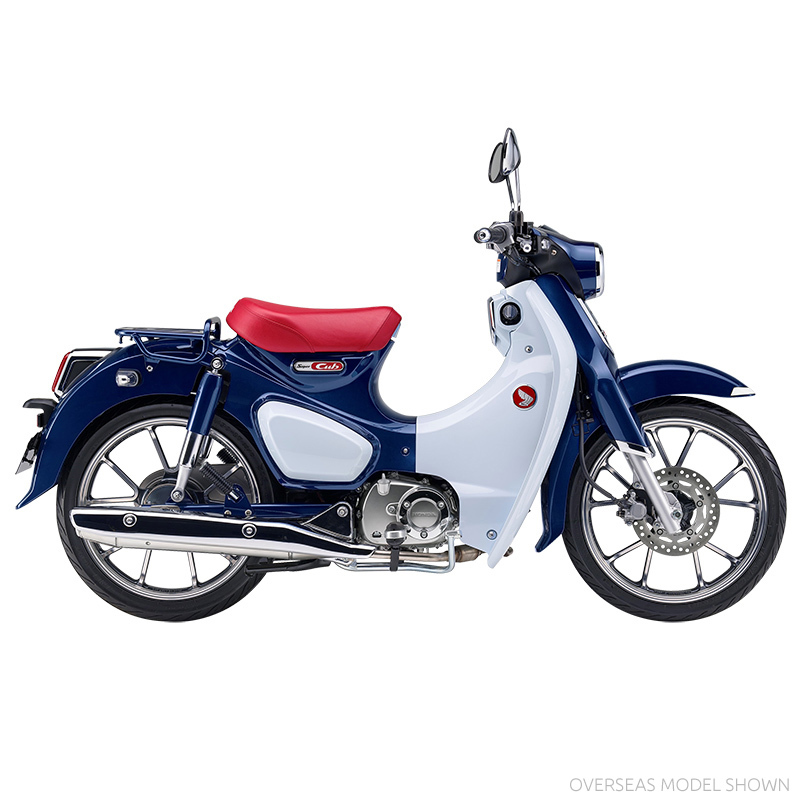 When Kawasaki's original W, the W1, appeared in 1966 it was the largest-displacement Japanese model of its time. Not only did it mark Kawasakiâ€™s first step in becoming a manufacturer of large displacement motorcycles, its design goal of becoming the fastest bike in the world was a precursor to Kawasaki's Quest for Speed and led to the birth of legendary machines like the Z1, Ninja, ZZR1100 and Ninja H2/H2R. By todayâ€™s performance standards the W1 would not be considered a fast bike, but in its day simply riding a big bike was enough to turn heads and earn the respect of fellow riders and pedestrians alike. 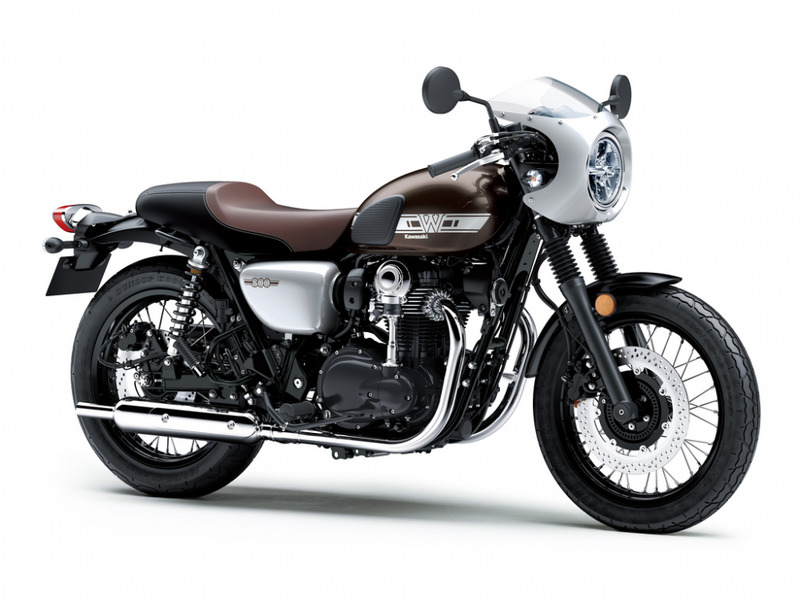 For riders who prefer a leisurely ride at low speed, with the throbbing pulse and throaty roar of an air-cooled Vertical Twin engine playing counterpoint, Kawasaki is proud to present the new model that was designed to capture the look and feel of this iconic bike from yesteryear. The new W800 CAFE is the latest evolution of a brand that spans 50 years. With numerous parts updated compared to the W800 SE, the W800 CAFE the retro models have been thoroughly modernised to deliver rider-friendly machines with easy handling and good stability on the highway. 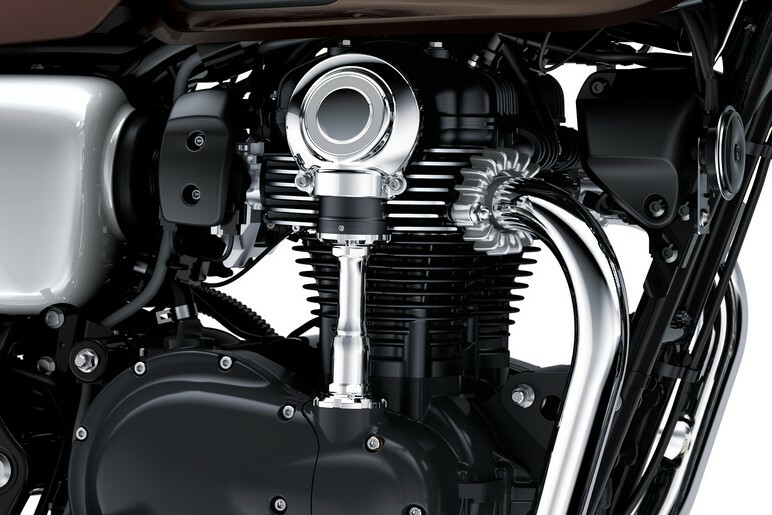 But not all of the changes are visible - Kawasakiâ€™s dedication to preserving the image of the original model can be seen in the air-cooled Vertical Twin engine that meets strict modern emissions standards, the double-cradle frame with completely revised rigidity care of thicker pipe walls, and the carefully crafted exhaust sound of a Vertical Twin with a 360Â° crankshaft. For a taste of history, look no further than the W800 CAFE. Iconic bevel-gear-driven cam and the clean, classic lines of this beautiful air-cooled Vertical Twin make it a key styling element of the W800 CAFEâ€™s design. Long-stroke engine tuned for low-mid range performance delivers plenty of torquey feel-good power. 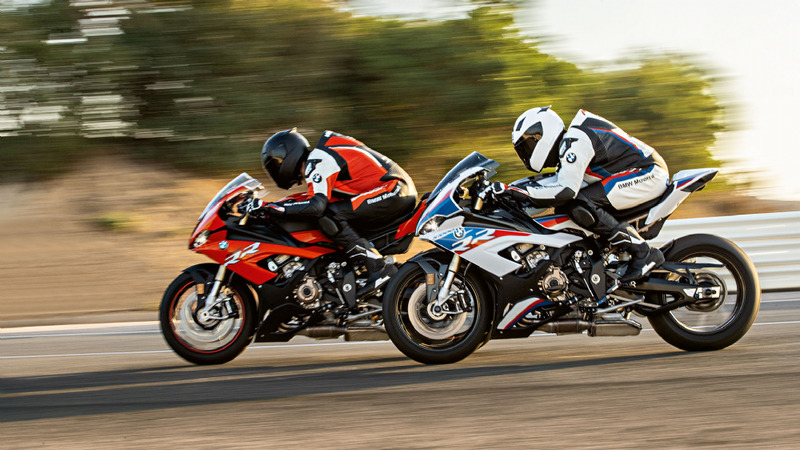 The rich engine pulse reminds riders that they are piloting a Twin engine machine. Fuel injection delivers clean, efficient, hassle-free operation. 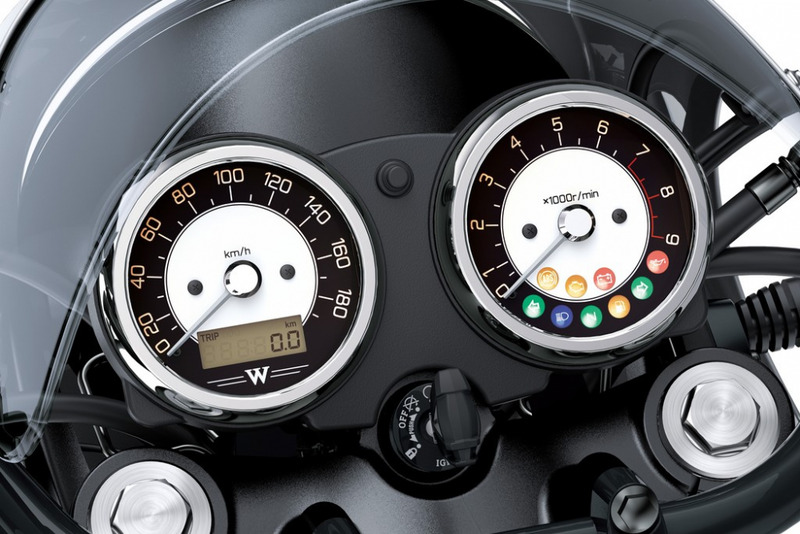 Traditional instrumentation includes individual speedometer and tachometer with classic display. A multi-function LCD screen incorporates an odometer, trip-meter, and clock. A full range of indicator lamps includes an FI warning lamp, dual turn signal indicators, low fuel level indicator, high beam indicator, neutral indicator, and oil pressure warning lamp. Stronger stopping power comes care of a larger-diameter 320 mm diameter front disc paired with a 270 mm diameter rear disc (previously a drum-type brake). 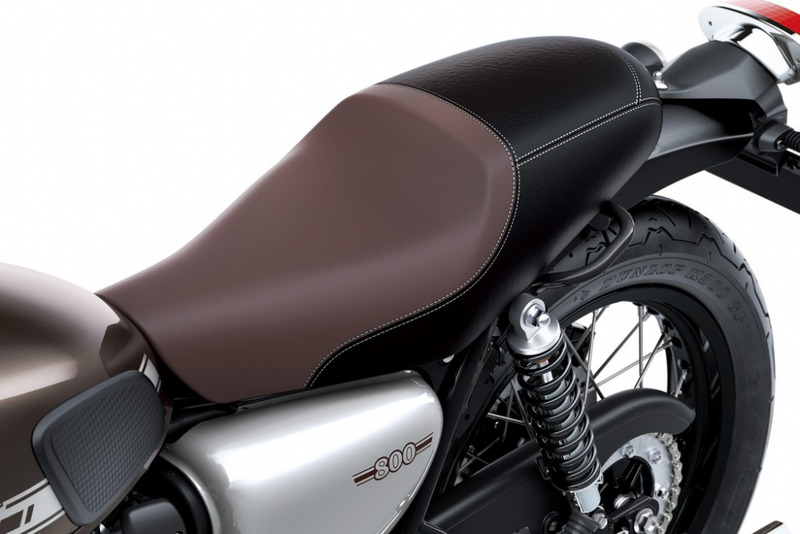 ABS is standard for the 2019 Model W800 CAFE. 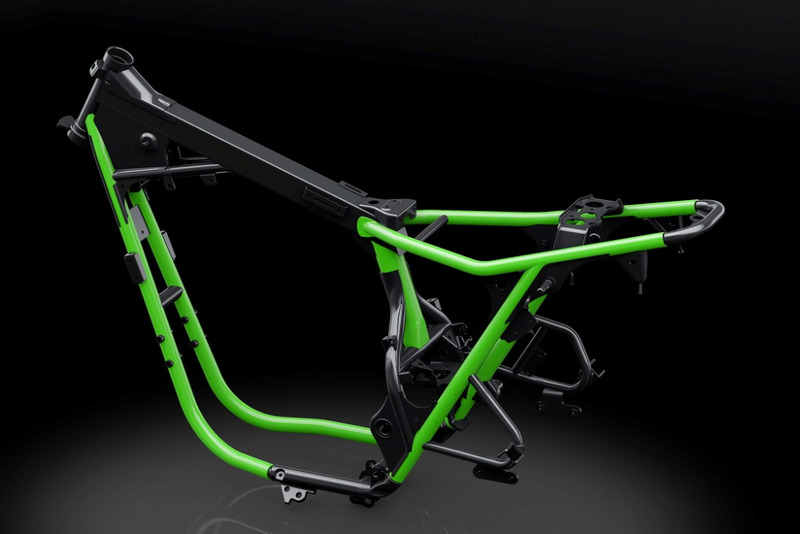 While the double-cradle frame looks unchanged from its predecessor, it is in fact all new. The required rigidity of each and every piece was re-evaluated. Then, while keeping the pipe outer diameters unchanged, the pipe thicknesses were adjusted as necessary. Round tubes with a smooth finish and minimum welds and gussets contribute to the quality appearance. Rake and trail are set at 26.5Â°/71mm with wheelbase of 1245mm. Wet weight is 109kg. Front telescopic forks feature 100mm travel, the twin rear shocks 84mm to soak up bumps (10/19mm more than the C110) while elegant 17-inch cast aluminium wheels add stability and steering precision. Tubeless tyres are fitted, sized 70/90-17 front and 80/90-17 rear. 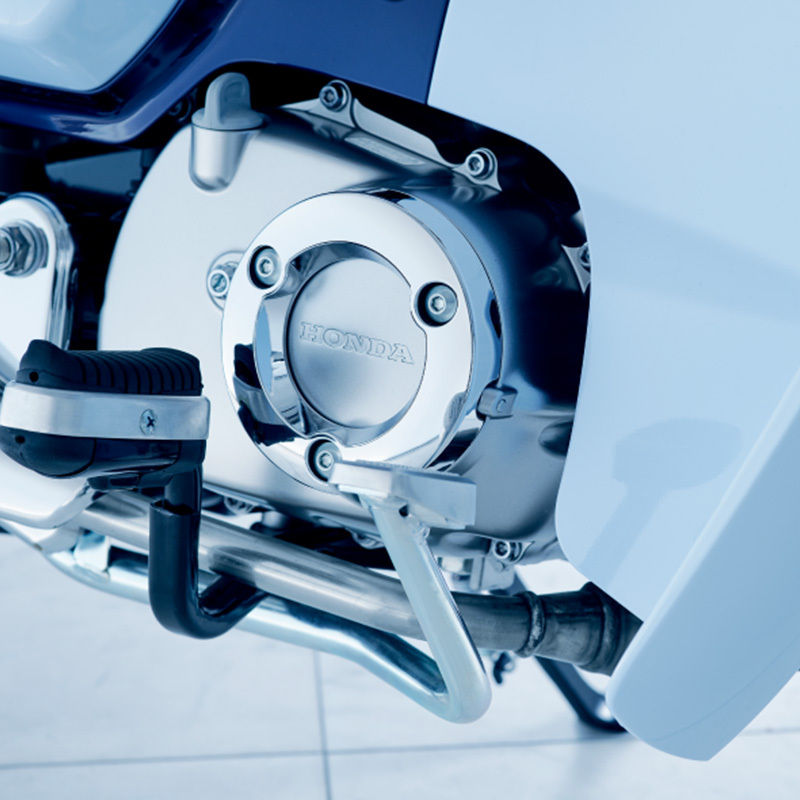 A 220mm front disc brake and single-piston caliper is matched by a 130mm rear drum. 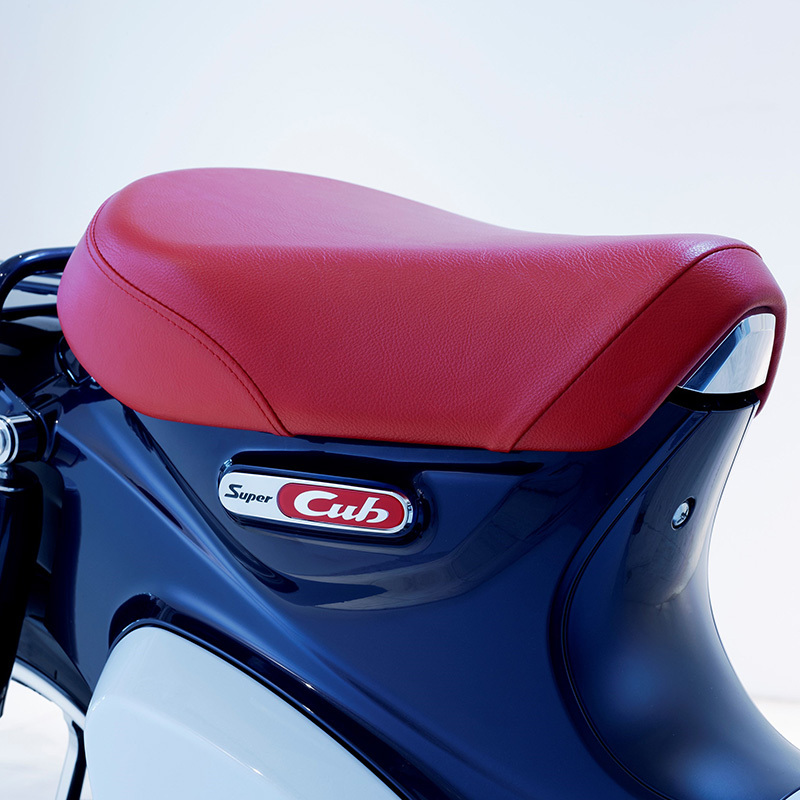 A modern finishing touch is the Honda Smart Key; put it in a pocket and forget about it, the Super Cub C125 is live and good to go. It also controls the immobiliser as an extra theft deterrent, and is equipped with an â€˜answer backâ€™ function whereby the indicators will 'blink' at the push of a button to make finding the vehicle easy in busy parking areas. And, with a nod to its forebears (and underlining its Honda history) a historical 3D 'Old Wing' logo crowns the Smart Key fob. When life throws you a curve ball - dodge it! Learn how to behave in difficult circumstances. Practice and improve your reactions to unsuspected situations to ensure your safety! 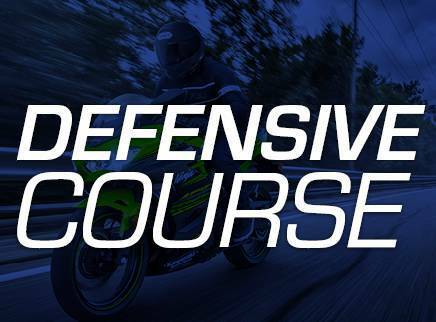 The Defensive Course will teach you how to react to anything that can happen, control your moves and bike. 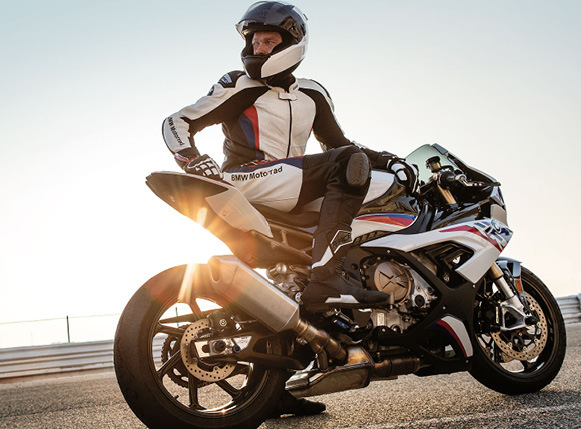 You will learn techniques that will expand your knowledge in the art of motorcycle riding and will allow you to take your riding to the next level of excellence. To book your spot click below!